They say home is where the heart is and I am a family girl. But I’m beginning to think my family is increasing by the day. 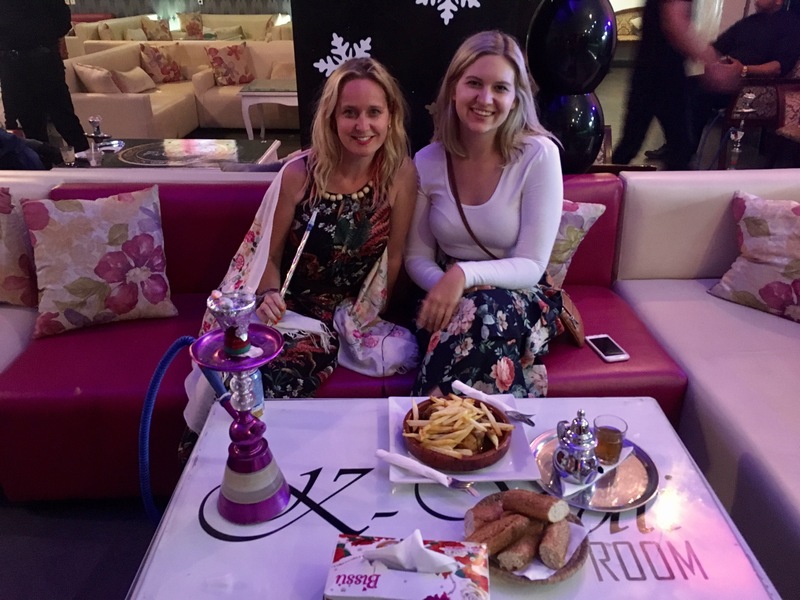 I have signed up with IVHQ to volunteer both in Marrakech and Casablanca during Ramadan. 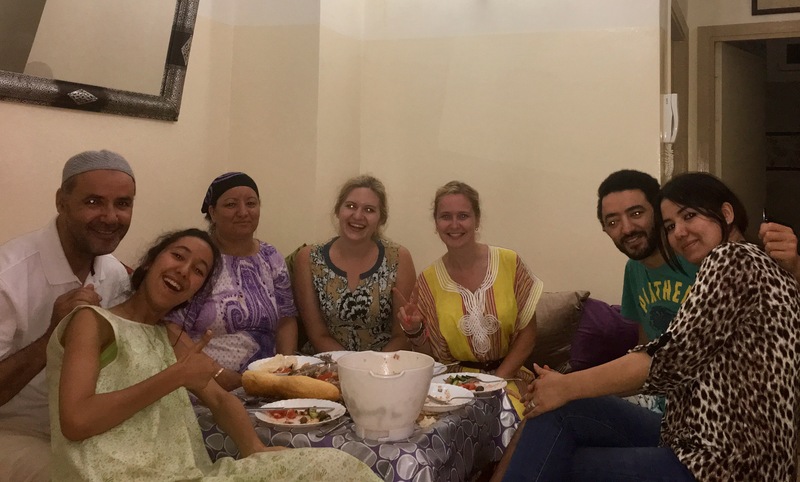 I am hosted by families in both towns and almost immediately I feel like I am one of them, Moroccans are famous for their hospitality, but this is above and beyond. The family in Marrakech host myself and Kelly, the bubbly blond law student from California, and I adore them right off the bat. 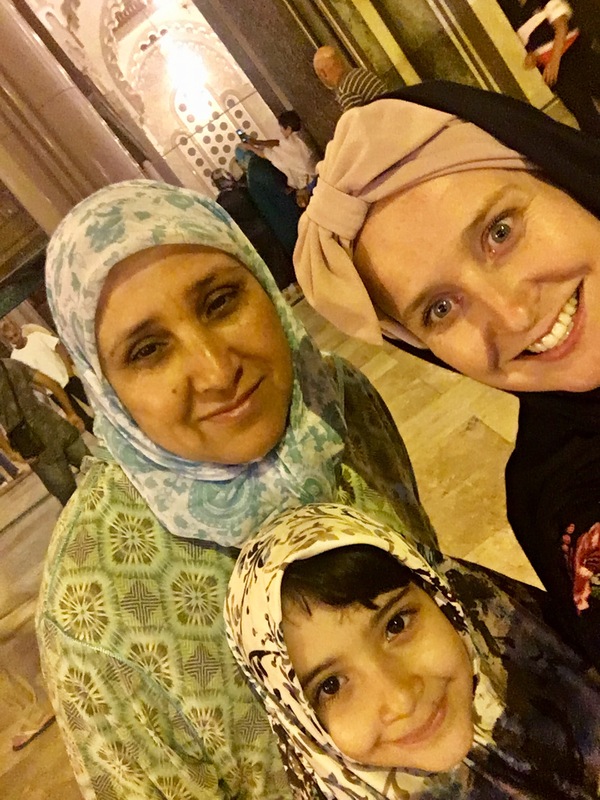 We sit and chat with the help of Google Translate and the daughters who speak fluent English translate and giggle along with my very broken Arabic. Bushra and Abdeljalil facetime with my man and to hear them chatting in Darija (Moroccan dialect) makes me smile and it is like he is here. I am woken gently at 3:00am for Suhoor and I’m constantly in a fit of giggles with the amount of food Bushra puts before me at this ungodly hour. Kuli, kuli (eat, eat) she is always saying. A sentence I have learned early on is “my husband is Moroccan”. Okay, so he is not my husband per se, but long distance boyfriend is just too hard to explain. Knowing this increases the love I get from the locals. This family includes me in everything! I mean everything. On day two my host sisters take me to the Hammam, it’s a local one, not the blue tile spa masterpiece you see on tele, this is something else. Women who are normally covered practically from head to toe are naked as the day they were born and completely not bothered. I’m not so shy but when Salma takes my loofah and starts exfoliating my back I do crack a smirk and think, well when in Rome I guess. Omar and Yassir are absolute legends too. I speak at length until the wee hours about Islam and areas I’m not so sure on. Omar takes it all in his stride and the feminist and Christian in me shines, as does the male dominated societal upbringing and devotion to his faith arises in him. Abdeljalil just watches on ensuring we don’t get into an argument. Which we don’t and thoroughly enjoy the debate on both sides. He goes to bed with a list of things he needs to answer for me. 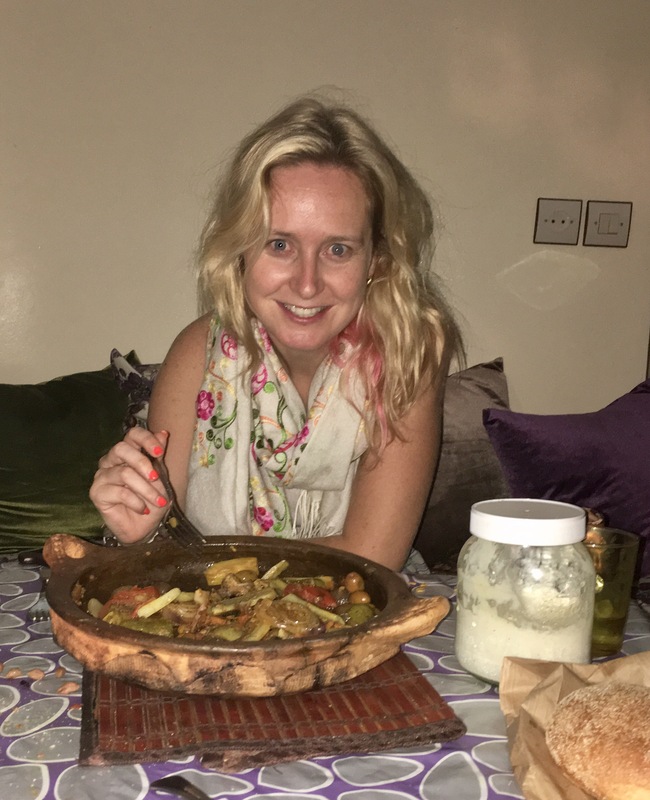 We arrive at the apartment which is colourful and bigger than that of the one in Marrakech and I soon find out why – five kids: my magic number. Four gorgeous girls are 24, 19, 17 and little Miriam, six who is to become my shadow. Ahmed is the man of the house and there is a son who is in Spain. It’s Ramadan and they are all very impressed that I am fasting and are proud to feed me up at Iftar time. Kuli, kuli there’s that familiar cry. I’m eating, I’m eating! Over the three weeks I am with this family they open their home and heart to me, invite me to all events and I return the favour by cooking a feast once a week. Also, I’m giving them a laugh with my developing but still amateur Arabic. 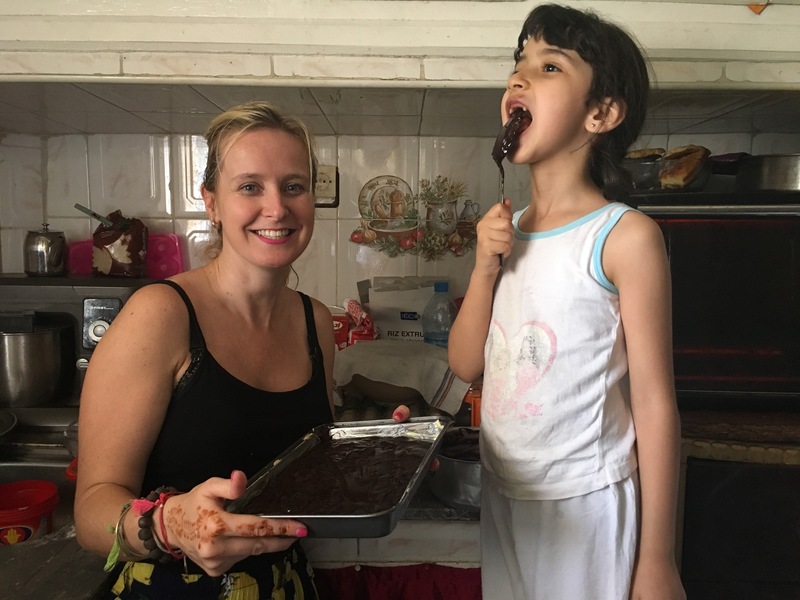 This family is immersed in the centre that I teach at and at all hours working on projects, sewing clothes, making food for Iftar and just generally getting involved. I’m invited to a local ceremony, they insist I stay on for Eid celebrations and watch over me like I am one of their own. Now I know this sounds like just any friendly household, but it’s the little things that warm your heart. 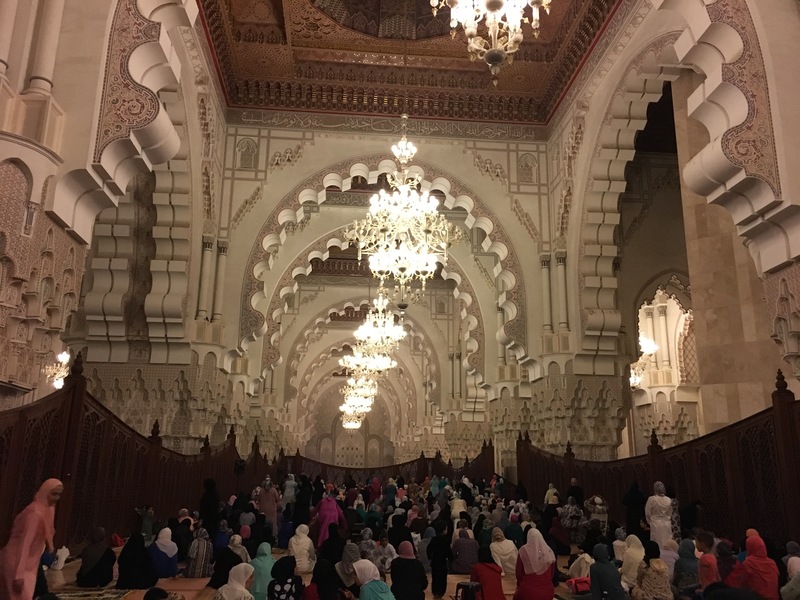 It’s the beaming smile on Ahmed’s face when he sees me bleary eyed at suhoor amused at my dedication to his faith, or the kisses that come from Miriam as soon as I walk in. Or the genuine love from Fatima as she brings me in for a cuddle as I sit and read just because that’s what mums do. 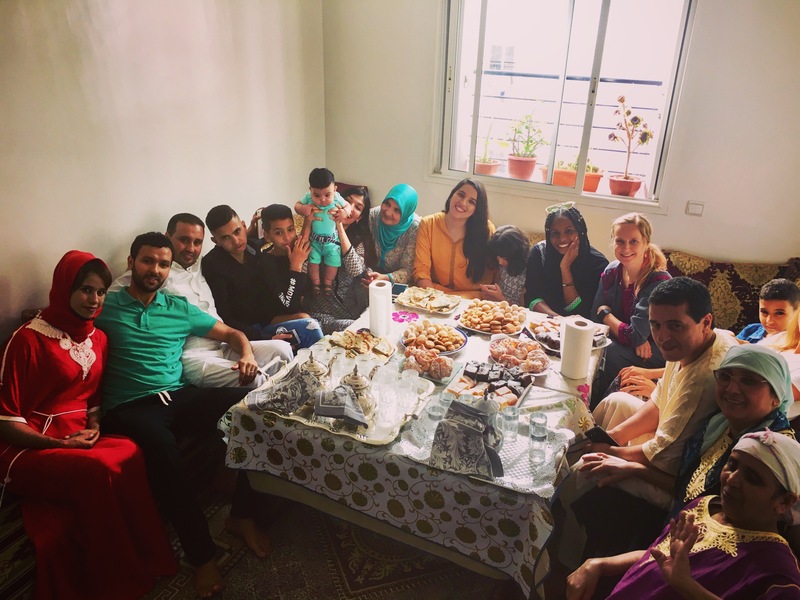 I’ll cherish my time in Morocco, not for the sights and not just for the journey through Islam, but the open hearts of the families who have hosted me and truly made me like I was one of them. 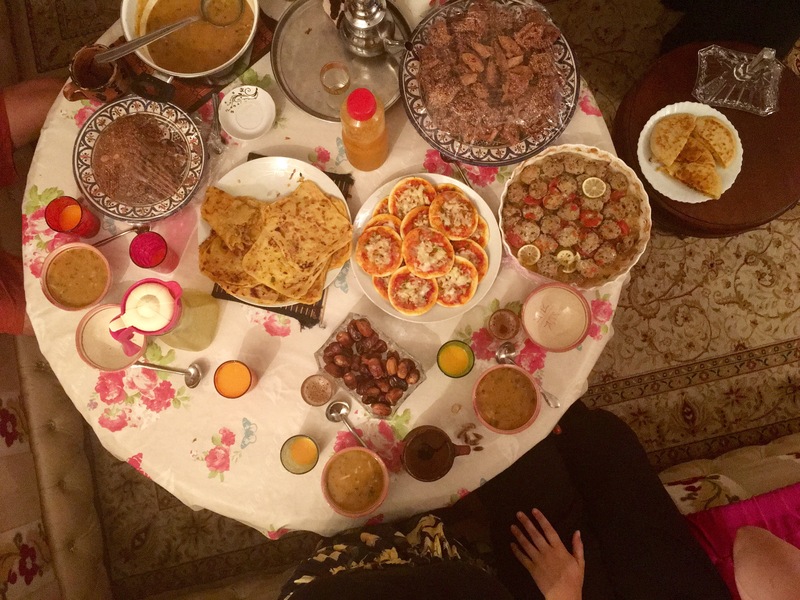 ← Not Hangry – Ramadan the Fast. This was a wonderful experience for you Aray and your dedication was remarkable!